Many medtechs are content with developing one sector-disrupting technology before taking it to market. Not Exovite. The startup's ambition propelled it to create a groundbreaking treatment for broken bones for both humans and animals as well as a new tool to assist and speed up tumor surgery via mixed reality (MR) technology. MR technology combines the best of virtual reality and augmented reality technologies. Set up in 2013, the Zaragoza-based medtech is on a roll. It employs different technologies to disrupt two significant areas of treatment: traumatology – the branch of surgery dealing with major wounds caused by accidents or violence – and the removal of malignant tissue. For traumatology, Exovite pioneered 3D-printed, personalized splints and remote therapy and monitoring. For the removal of malignant muscle tissue, it leverages existing MR technology with real-world visualization to improve accuracy and speed. The recovery process in traumatology had been ripe for disruption prior to Exovite's emergence. Plaster casts and splints had been the solution to broken bones since the 1830s and little had changed since then – apart from the additional use of fiberglass in casts since the 1970s. Exovite's system reduces the average recovery time for a broken bone from ten to seven weeks. Its customized 3D-printed ergonomic splints are made-to-wear for each patient, and weigh 75% less than the traditional casts they replace. 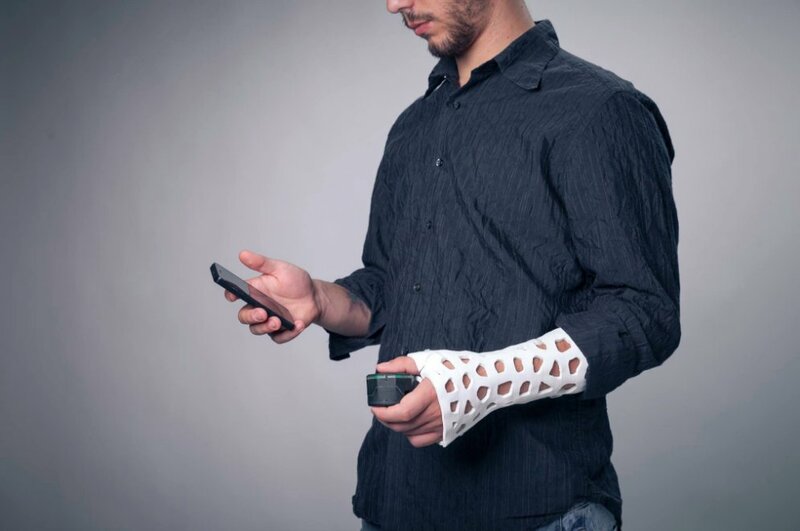 Each of these "immobilization sleeves" only takes 30 seconds to print, weights only 350 grams, airs the affected limb via its mesh design and is water resistant. The splints are complemented by a rehabilitation system consisting of an electrostimulator connected to electrodes that administers low-frequency charges and provides data on the patient's muscle health. In the past, without the possibility of beneficial electro stimulation of patients' immobilized limbs, their muscles could atrophy. The devices come with software to be used by both patient and practitioner, allowing remote monitoring and control, rendering the need for treatment in person unnecessary. Exovite's ProPad platform allows the practitioner to create and monitor treatment programs, control the electrostimulator and access measurements and analysis of the progress of each patient, including their x-rays. It can also perform a scan of the patient's limb by camera. The patient uses the phone app, ExoPad, to control their electrostimulator, receive and monitor the program from the practitioner and to remind them to start their exercises. "Patients can shower and scratch themselves. If there is any problem the doctor can see it without having to remove the immobilization sleeve," said CEO and Co-founder Juan Monzón Fabregat. The entrepreneur and investor with previous experience in medtech had spent two years developing the treatment together with professionals at Zaragoza's Punta Vital clinic. "The medical community is responding very well," he said, citing the system's benefits in terms of reducing pain. The benefits of Exovite's system are not solely experienced by the patient. Given that the majority of the rehabilitation process takes place at home, healthcare providers save time and costs while insurance companies can access real-time evaluation of the patient's progress. Exovite is in the process of commercializing its bone recovery treatment which is already in use in many private Spanish hospitals, including those in the MAZ healthcare group, which implemented it after an initial pilot in 2016. More recently, the treatment was rolled out by private healthcare giant Sanitas and its competitors, Mutua Fremap and Activa Mutua. Each group buys Exovite's immobilization sleeves in bulk and pays for daily use of the remote rehabilitation system. 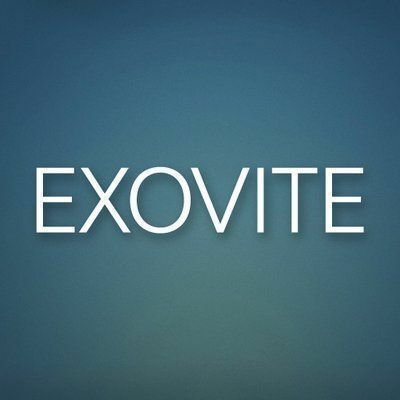 Exovite received assistance from the Microsoft Venture Accelerator and was named a Global Partner in Microsoft's Sports Innovation Center Program in Israel. In 2017, Silicon Valley's TiE50 Awards Program named Exovite among the top 50 best startups in the world. There are plans for rollouts in Japan, Thailand, Chile, Thailand, and Hungary. Exovite's product has been so well-received that it created a version of its 3D-printed immobilization sleeve for pets, Petsovite, that can be used for different pathologies, particularly post-intervention protection and is suitable for all sizes of dog and cat. Petsovite comes with a custom-made muzzle to stop the animal from biting the sleeve off of the affected area. Less than a year after the commercial launch of these products, Exovite has again garnered the attention of the medical community in Spain and further afield. Its latest project, in conjunction with Madrid's Gregorio Marañón University Hospital, employs the Microsoft HoloLens holographic computer and head-mounted display to assist surgeons in operations that require the use of 3D patient models. This revolutionary tool is called HoloSurg and has already been used in a real-life surgery on a tumor and is now being rolled out in Gregorio Marañón's trauma and orthopedic departments as a time-saving and accuracy-improving tool for surgery. Exovite began developing the HoloSurg surgical tool in late 2016 after speaking with surgeons about how Microsoft's HoloLens Augmented Reality headset might benefit their work. "We already knew doctors Rubén Pérez Mañanes and José Antonio Calvo [at Gregorio Marañón]. We had a HoloLens and immediately saw possible applications in traumatology and in oncological surgical interventions," said Exovite's Head of Research and Development Cynthia Gálvez. "Our objective was to see how we could use it to get real-time clinical information on the patient." So, a trial begun at the hospital, with surgeons providing input throughout the development process until its successful application in surgery in April 2017. HoloSurg consists of a virtual layout of interactive panels displaying patients' data and relevant scans, like MRIs and X-rays. Using HoloLens' technology, this 3D display is overlaid onto the real-world environment, wherever the surgeon chooses. This Mixed Reality capability, combining both physical and virtual objects in a single view, permits surgeons to more accurately reference tumor positions for removal by adjusting their procedures to maximize the possible area of the tumor to be removed. The HoloLens allows surgeons to access essential data virtually whilst simultaneously viewing and operating in the surgical theater – an impossibility with Virtual Reality devices. HoloSurg's panels can be moved or resized by hand gesture and voice. They can even be placed on top of the patient during surgery. The tool is of great benefit in training because the surgeon’s view may be shared and even broadcast live. The application removes a major pain point for surgeons: clinical information displayed on monitors whereby surgeons "cannot manipulate the information and data is far away," said Gálvez, adding that with HoloSurg, "sterilization is maintained, it works well under the lighting and with an entire team there." 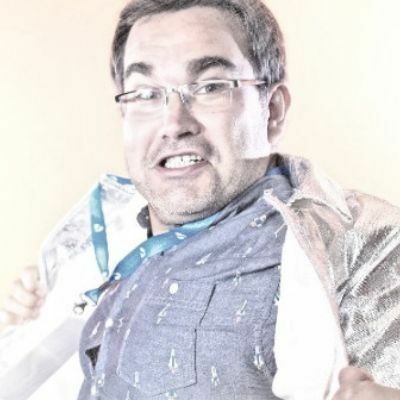 At the 2017 edition of telco giant Telefónica's App Date Awards, HoloSurg received the prize for Best Augmented Reality project though Exovite is pausing further product development until the launch of a new HoloLens version in 2019 that will address certain limitations, like battery life. The company is not rushing the perfection of its products and their launch to market. "Other hospitals are interested in using the current HoloSurg application in its operations, but we want to advance the project – above all, focusing on guidance systems (for surgeons)," said Gálvez.